Born in Philadelphia in 1861, William Wrigley, Jr. became one of the foremost chewing gum industrialists in the world (just how many chewing gum industrialists are there in the world, you ask). In 1891, at the age of 29, Wrigley traveled to Chicago with $32 in his pocket and a big idea – a product, actually – Wrigley’s Scouring Soap. Okay, he wasn’t about to set the world on fire with scouring soap, but he also had the bright idea to include a free gift with each package of soap – a can of baking powder. Now here was something to set consumers’ hearts a-pitter-pattering. Eventually, he found the premium to be more popular than the product and, being a flexible entrepreneur, he switched to selling baking powder. Did he offer free scouring soap with the baking powder? No, he offered two free packs of chewing gum. And once again the premium, not the product, caught the public fancy. Odd, since chewing gum had been around for 5,000 years or so – under desks and park benches, on the soles of pedestrians’ shoes. Nevertheless, it caught on, and Wrigley bagged the baking powder and concentrated on gum. Two years had passed since his arrival in Chicago when he went full steam into the chewing gum business, founding the Wm. Wrigley Jr. Company, giving the world Juicy Fruit and Spearmint gums, and, in 1914, double your pleasure, double your fun, Doublemint gum, which eventually spawned Wrigley’s most notable gift to humanity, the Doublemint twins. With the chewing gum business firmly established, Wrigley’s mind wandered – to the west coast. There he bought a rocky island off the coast of California, known as Pimugna to its original inhabitants, the Pimugnans. The island was first claimed (as was just about everything) by the Spanish Empire, then by Mexico, then by the United States. A home to hunters, gold-diggers and smugglers, it was a natural to become a tourist destination – which under Wrigley’s guidance it did – 26 miles across the sea , Santa Catalina, the island of romance. 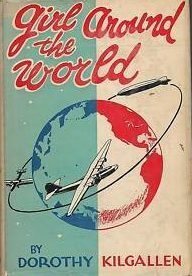 Reporters Leo Kieran of the New York Times and Herbert Ekins of the World-Telegram were out to demonstrate that air travel was shrinking the world and that it was pretty much in the reach of most people. They would do this by means of a race around the globe using commercial transportation available to anyone with the price of a ticket. When the race started on the evening of September 30, 1936, they had been joined by a last-minute participant from the Evening Journal — a 23-year-old rookie crime reporter named Dorothy Kilgallen. A fierce rainstorm kept the three contestants out of the air for the first leg of the race — a short hop to Lakehurst, New Jersey, to catch the airship Hindenburg. Kilgallen almost missed the flight, but the crew delayed departure until she boarded. Ekins quickly proved to be the savviest traveler as well as the most competitive. Arriving late in Frankfurt, Germany, he quickly boarded a KLM DC-2, a plane that had finished second in an air race from London to Melbourne. Kilgallen and Kieran, on the other hand, headed to Brindisi, Italy, by train to catch a flight from there to Hong Kong on a British carrier, Imperial Airways. The train was excruciatingly slow, and the flight was delayed for seven hours because of wind. When the two reporters arrived at a stopover in Bangkok, Siam, Kilgallen opted to hire a single-engine plane whose pilot lost his way in Indochina and made a frightening landing in the middle of a field before finding his way to Hong Kong. Waiting to board a steamship headed from Hong Kong to Manila and the Pan Am China Clipper for the flight back to the States, Kieran and Kilgallen learned that Ekins was long gone. He had talked his way onto a Pan Am trial flight as a crew member. Although taking the no-passenger flight was cheating, Ekins was pronounced the winner, having completed his journey in 18 days. With just the tiniest bit of grousing, the two defeated reporters acknowledged his victory in a cable from Manila while waiting for a typhoon to pass. They completed the journey in 24 days. In some ways, Kilgallen was the real winner, despite her second-place finish. 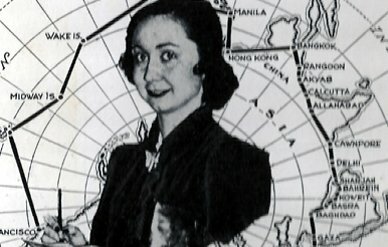 Her accounts of the journey, cabled back to the Evening Journal each day, filled with descriptions of exotic lands, jungles full of dangerous beasts and shark-infested waters, made her a celebrity. It also launched her successful career which ended abruptly in 1965 with her mysterious death (a story for another day). After Alice had walked for a little while, she heard the pattering of footsteps in the distance and wondered what sort of strange person or animal she might meet this time. It was the White Rabbit, trotting slowly back again, and looking about anxiously as it went. The White Rabbit scooped up his gloves and ran off without even a thank you or goodby. 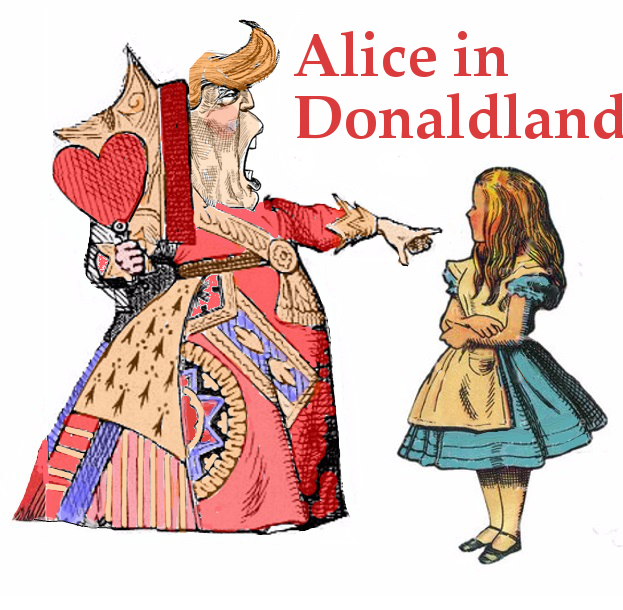 Alice tried to follow him but lost him when he ran behind a large mushroom. The mushroom was even taller than Alice but, by stretching herself up on tiptoe, she was able to peep over the edge of it. There her eyes met those of a large blue caterpillar, that was sitting on the top, showing not the slightest interest in her or anything else. It had been about five years since Wilbur and Orville Wright made history with their airplane flight at Kitty Hawk, North Carolina. During the following years, the brothers developed their flying machine into the first practical fixed-wing aircraft, the Wright Flyer. 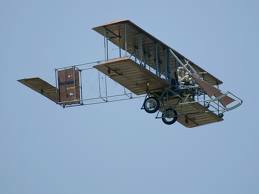 And in 1908, Orville took the Flyer to Fort Myer, Virginia, to demonstrate it for the US Army Signal Corps division. 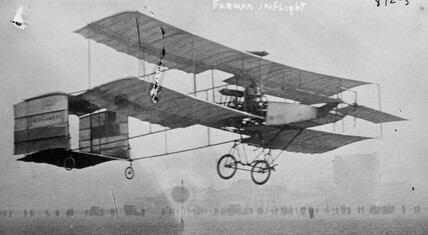 Lieutenant Thomas Selfridge arranged to be a passenger on the demonstration flight while Orville piloted the craft. Selfridge might be considered one of the first frequent flyers. Selfridge took his first flight in 1907, a flight that took him 168 feet in the air above Bras d’Or Lake in Nova Scotia, Canada. He also piloted a Canadian craft that flew three feet off the ground for about 100 feet. He next took to the air in Hammondsport, New York, traveling 100 feet on his first attempt and 200 feet on his second. The next day he added another 800 yards to his mileage credit. A successful flight with Orville would no doubt have given him an upgrade if not a free flight. On September 17, 1908, Selfridge and Orville circled Fort Myer in the Wright Flyer 4½ times at 150 feet. Halfway through the fifth go-round, the right propeller broke, losing thrust. A nasty vibration ensued, causing the split propeller to hit a guy wire bracing the rear vertical rudder. Luggage flew out of the overhead storage compartments; the wire tore out of its fastening and shattered the propeller; the rudder swiveled and sent the Flyer into a nose-dive. Orville ordered Selfridge to return to his seat and fasten his seat belt. Then he shut off the engine and managed to glide to about 75 feet, but the Flyer hit the ground nose first — not a smooth landing. Orville was bruised and quite embarrassed. His passenger was unfortunately dead, the first ever airplane fatality. If Selfridge had been wearing a helmet of some sort, he most likely would have survived the crash. The fatality also saddled the fledgling flying industry with a pretty poor safety track record – one death per 2,500 passenger-feet, just slightly better than traveling on the back of a hungry lion. Last night for dinner our cats, Vinny and Pearl, had Red Snapper and Ocean Whitefish in a Delicate Sauce. We had Hamburger Surprise. For breakfast they had White Meat Chicken and Egg Soufflé with Garden Greens. We had cereal. 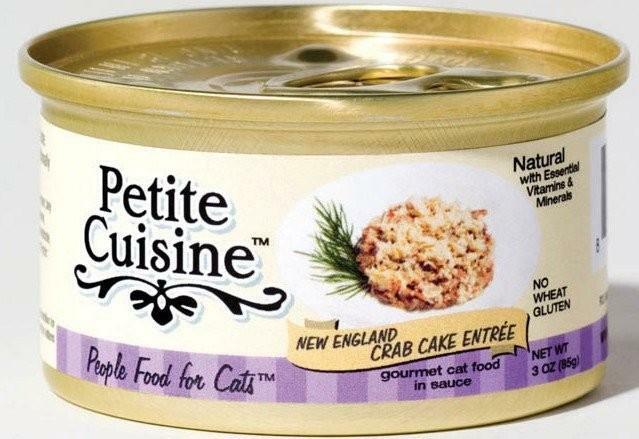 Their cat food cans rival the menu at any Michelin five-star restaurant: New England Crab Cakes Entrée, Filet Mignon with Meaty Juices, Tender Turkey Tuscany in a Savory Sauce with Long Grain Rice and Greens, Red Tuna Topped with Shrimp, White Meat Chicken Primavera with Garden Veggies and Greens. I’m not making these up. Of course, Pearl and Barney are unimpressed by the haute cuisine we so lovingly provide for them. You see, the marketing minds who work overtime to create these fanciful foods are not targeting the ultimate consumer, i.e., Pearl and Barney. Pearl and Barney don’t see this stuff advertised on TV, then come running to us, whining that every other cat in the neighborhood gets this food every day because they live with people who love them. Succulent Tidbits from the Seven Seas, dainty morsels of exotic seafood species personally prepared by steel-jawed fishermen whose yellow slickers hide hearts of gold. Pate pour le Chat Celebre, power food for important cats, cats who do lunch. Lite and Healthy Wholesome Feline Fare, a delicious but dietetic, low-fat, low-cholesterol, high-fiber entrée that will demonstrate your concern for their well-being. Sure, go ahead and buy these feel-good cat foods. But just be aware that unless they smell truly evil, your cat won’t touch them. Three Americans from New Mexico completed the first transatlantic balloon flight, landing in a barley field 60 miles from Paris, 138 hours and six minutes after lifting off from Presque Isle, Maine. The helium-filled Double Eagle II covered 3,233 miles in its six-day journey. Almanac devotees will remember (having most certainly taken notes) that Frenchman Jean-Pierre Blanchard crossed the English Channel to great fanfare some two hundred years earlier. 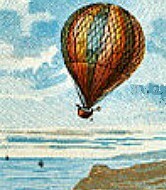 Balloonists began attempting the Atlantic crossing in the mid-1800s, with 17 unsuccessful flights, resulting in the deaths of at least seven balloonists. Two of our three balloonists gave it their first shot in September 1977, aboard the Double Eagle I, but were blown off course, landing off Iceland after 66 hours. After recovering from bruises, embarrassment and frostbite, they were ready to foolishly rush in again. A third pilot was brought in to spread the pain. Panic set in when the balloonists couldn’t find the Eiffel Tower. Blown off course, they touched down just before dusk on August 17, 1978, near the hamlet of Miserey, missing the wine and ticker-tape parade in Paris. Parisians, not wanting to give up a celebratory occasion, amused themselves in honor of the storming of the Bastille. Japanese carrier All-Nippon Airways announced in 1988 that painting eyeballs on its jets cut bird collisions by 20 percent. The menacing-looking eyes painted on the engine intakes of its jet aircraft frightened away the birds, preventing them from throwing themselves at the plane during takeoff. airline painted the evil eyes on 26 of its Boeing 747’s and 767’s, leaving the rest of its fleet eyeless. After a year, an average of only one bird had hit each of the eyeballed engines while nine birds struck each unpainted engine. The airline estimated that the reduction in bird strikes during the testing period reduced the damage to its aircraft from $910,000 to $720,000. Consequently, All-Nippon said it would paint eyes on all its large-body aircraft. Continuing its program of thinking outside the fuselage to reduce costs, the company in 2009 planned to ask all passengers to use restrooms before boarding. During a four-week test, agents at the gates suggested that passengers use terminal restrooms to relieve themselves before getting on the plane. All-Nippon’s bathroom experiment was a way to cut fuel consumption, thereby resulting in decreased carbon emissions and lower costs. Travelers, however, did not warm up to the plan, finding it embarrassing and offensive. The plan went the way of the eyeballs. Oh yeah, the eyeballs were removed from planes in 2000 because – well, the company didn’t say why – just eye strain, perhaps. 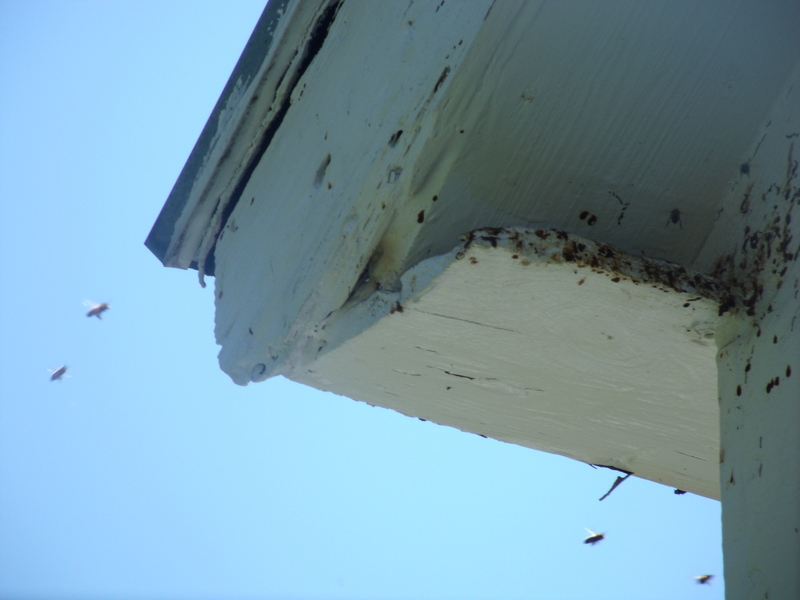 The hive, I might point out, was in the wall behind our bed. 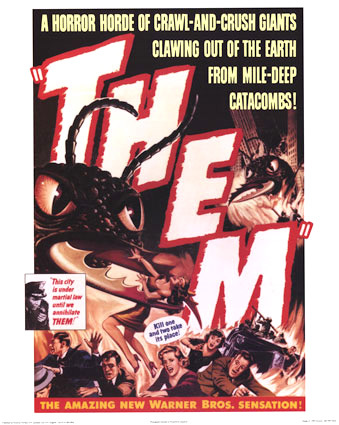 They were in there – not just a handful but a whole army – trying to tunnel their way through the plaster and lath to mount a massive shock and awe attack as we slept. They might have been the depraved, cowardly black hats from a vintage western movie who have driven the last bit of law and order out of town. We needed that staple of vintage westerns, the guy in the white hat on a silver horse – the guy who would ride in during the last reel to vanquish the evildoers and save the day in an action-packed climax. Enter the Beebusters. They didn’t exactly ride in in the last reel and race to an action-packed climax. They studied a lot. They took pictures. They discussed, made plans, took more pictures. sounded a bit reckless to me, but I wasn’t vacuuming, so let them be reckless. I should point out that it’s all about the Queen Bee who sits on her throne inside the hive while all the drones bow a lot and buzz “Yes your majesty. How high, your majesty?” (Sort of like Republicans bowing before Queen Rush.) If the Beebusters can capture this Queen Bee, all the obsequious, bootlicking drones will follow her wherever she goes. “Come into the box, my dears. It’s nice in the box. Nothing bad in here. Just me. And I’m sooo hot. C’mon handsome. Fly right in and we’ll have such a good time.” They will eagerly follow this siren into the bowels of “The Box” just as if he were the real thing. 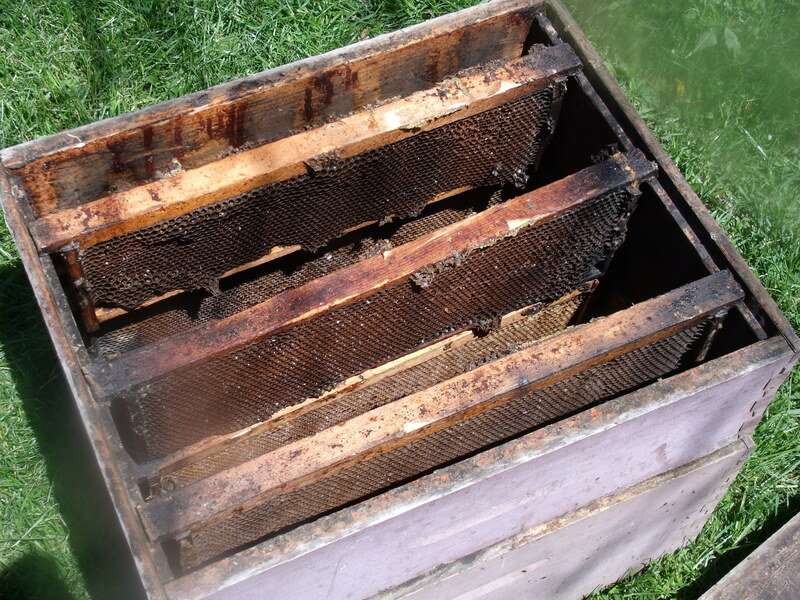 Bees are industrious, but they’re none too smart. 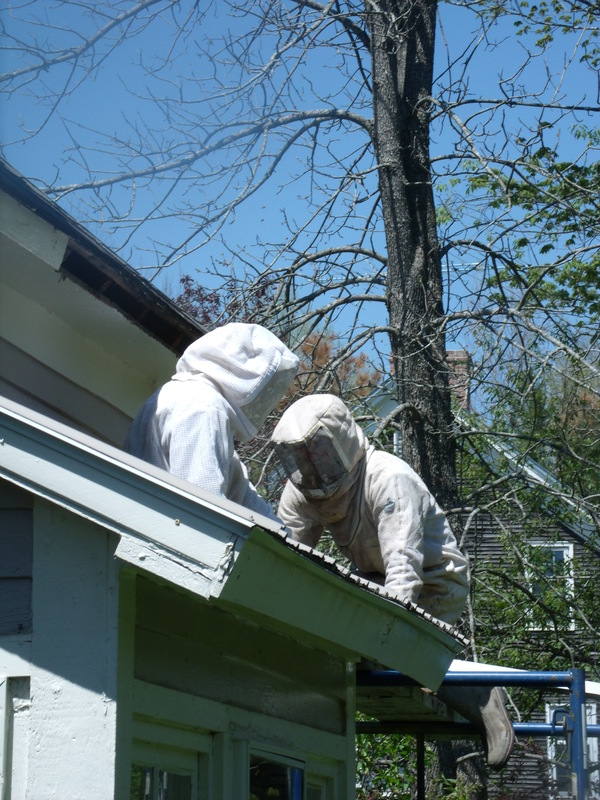 It was a big job – there were approximately 43,267 bees in our wall, and the Beebusters were able to bring most of them back alive. They now live in a pleasant retirement community on a farm far, far away. But the killer bees hadn’t been gone two weeks when I discovered a gigantic anthill in one of our flower beds. Radioactive fallout and steroids have made the ants themselves monstrous, capable of carrying off small dogs and children. We gave them the little girls from across the street and a few strays that wandered into the yard, but they’re not satisfied. Does anyone know where I can get a giant anteater? Just enter your e-mail and click on the magic twanger and you'll be an Official Almanacker (unless something goes wrong and you end up in 7th century Iceland).